Siliconera reported on this back in April. 1,500 of orders achieved in the sale is determined. 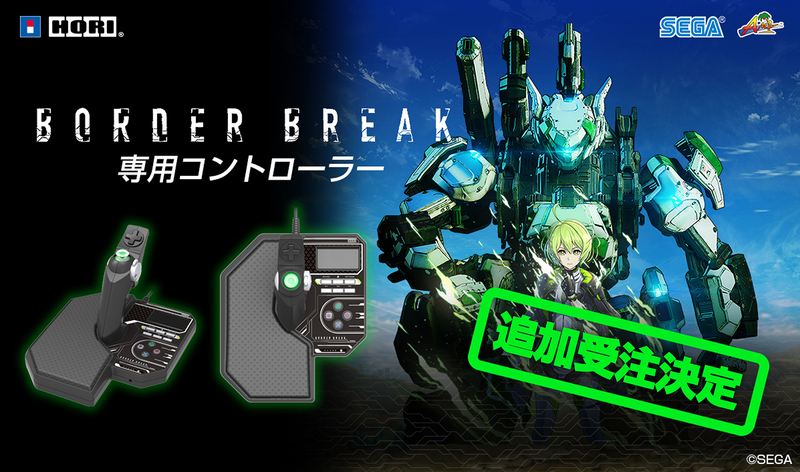 Faithfully reproduce the L grip of the AC "Border Break"
HORI has an additional orders for high-speed robot team battle "BORDER BREAK" dedicated controller for the PlayStation 4 to start than at September 12, 18. Price was ¥ 18,334 (including tax), sequentially ship than the end of December. This product is one that reproduces the L grip of the arcade version of "Border Break", ○, ×, □, those with various buttons and the left stick, such as △. Right stick is not mounted. When using the mouse, it is necessary to insert the 3 button or more USB mouse PS4 body. The game in the paint "BRW Ace" was the product first award was not included, additional production when it reaches to 1,500 units, which is the target number is determined. Orders period until September 25.